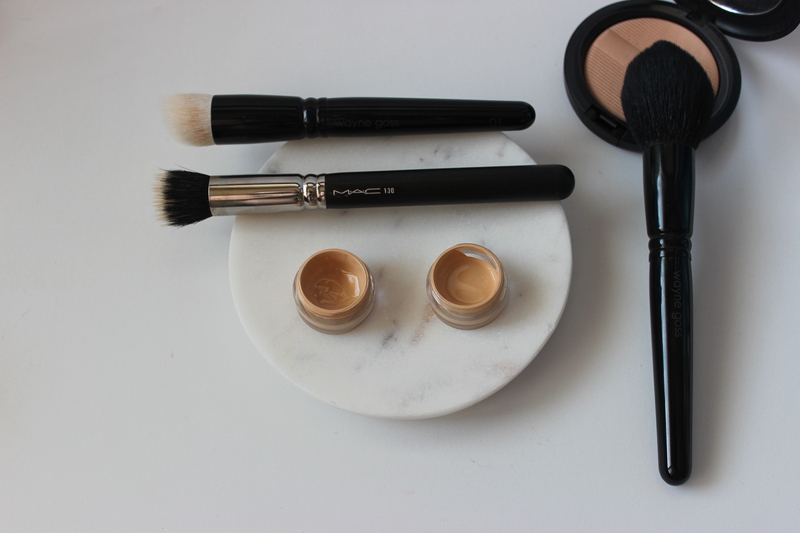 The new Mac Pro Longwear Nourishing Waterproof Foundation is love. It is also a mouthful to say so we shall shorten it to the new Prolong foundation. Better right? So be ready for a long post as I have many nice things to sing from the rooftops about this foundation! When I read about the claims of the upcoming new Mac foundation I was definitely interested as it seemed to be Mac’s answer to all (or most) of my requirements for my dream foundation. 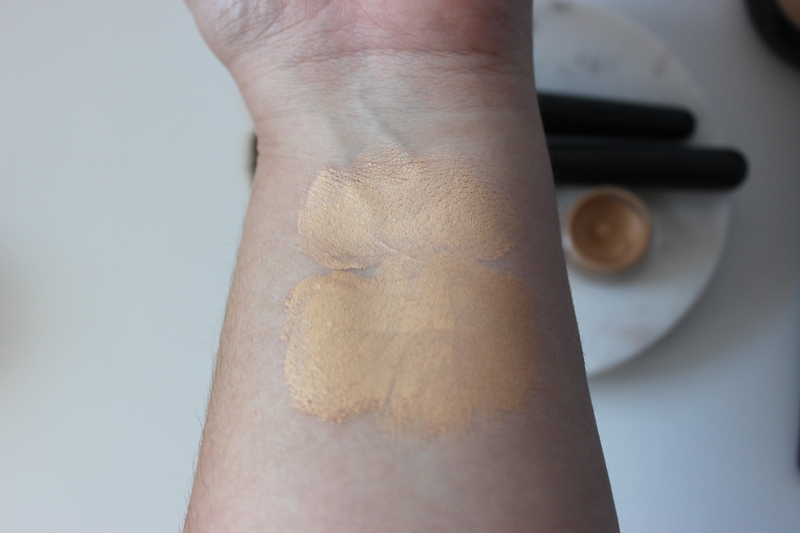 Bloggers and MUA’s on instagram seemed to really like it, and I was even more interested once I read that it had been developed initially as a concealer. So it is pointless to say that I just needed to try it myself! I went to my Mac store and came back home with two samples in my possession, one in NC20 and one in NC25. Applying the foundation: the first day I applied the foundation with fingers, as I tend to do when trying something new, and I was not totally convinced. If you just slap it on your face you will pile it on and it will look more unnatural. Plus, if you have large pores like me it can happen that as you are not working the foundation properly into the pores they can be more apparent once the foundation is applied. On the second day I decided to give brushes a try. As I was feeling lazy, I simply took my Mac 130, which was small enough, and dipped it in the product left on the lid of the sample container. And wasn’t this an inspired idea! The Mac 130 (or the Wayne Goss 01) allowed me to work the foundation into the skin, getting a more even and natural coverage with much less product (I didn’t need to take any more foundation) and my pores disappeared in front of my eyes. My skin looked fantastically even and the satin finish is just lovely. The coverage is medium to full, but it depends on the application method and quantity applied. I am really happy that with only a thin layer most if not all of the redness on the center of my face and my blemishes had been covered. Cafe Makeup here has some tips on application as well. You might want to know in advance that the foundation can feel a bit tacky upon application, but if you let it settle and dry for a couple of minutes then you are good to powder and apply brush/bronzer/highlighter. I like to pair it with the Studio Sculpt powder as it is a gorgeous light powder and complements the foundation very well. Melissa here has tried the powder released with the foundation, so you can read her thoughts on it. On the other hand, the MUA at the store told me that she did not like the tacky feeling so she mixed the foundation with a tiny bit of Face and Body. 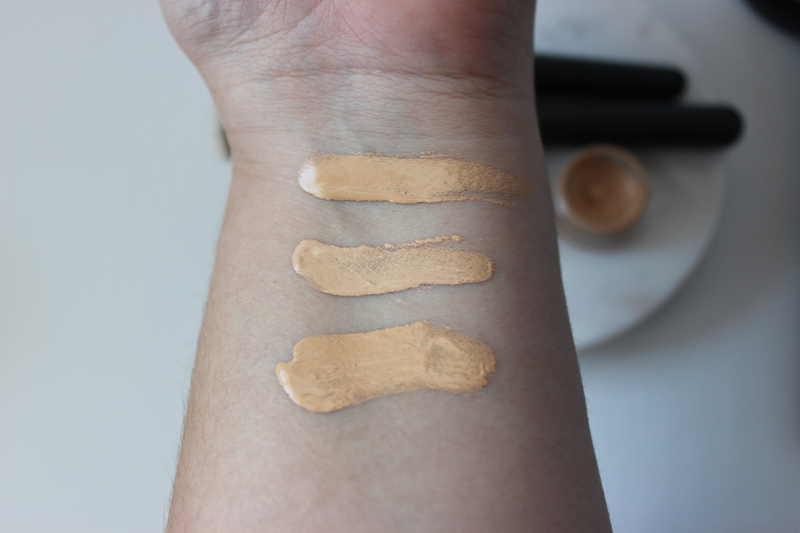 Mac Pro Longwear: I can say that I love how longlasting this foundation is and it certainly lives up to the Longwear claim. I have recently had days where I have had my makeup on for 12 or 13 hours and only blotted and added some powder once or twice and when I took it off it still looked good. So what is the difference with the old Prolong? Well the old Prolong looks nice (orangey, flat and easily cakey as it can be) for the first hours but as soon as my sebum glands decide that it is time to party, the foundation separates and breaks all over my nose and chin. It is not pretty to see let me tell you! With the new prolong, I can blot and powder without fearing that I will move the foundation. Once the foundation dries, there is just no moving it! While it does not claim to have oil control properties, I feel as if it takes a bit more than usual for the shine to appear. And the finish is also an improvement. While the old Prolong is just plain matte, the new Prolong has a certain luminosity that gives it a satin finish. It is much more natural than the old one as it does not look flat or dry. Nourishing Waterproof foundation: As for the nourishing claim, I am afraid that I cannot confirm it or deny it. I really should brush up on my ingredients knowledge, I was a science student for heaven’s sake! Meanwhile you can find the ingredients list here at Makeupalley. I can say that if you don’t like silicones in your make up then this one is not for you. The inclusion of caffeine however is interesting. On the other hand, I can confirm the waterproof claim. Keep in mind that I have had long days in a warm and humid climate and that sometimes my eyes can be watery. Well I could not be happier with this foundation as it has endured it all like a good trooper! Once it sets, that’s it for the day. 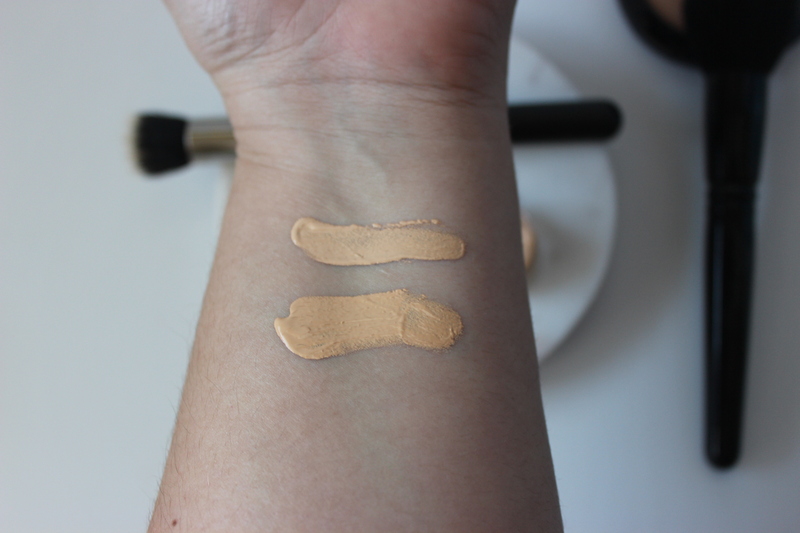 The other interesting thing of this formula is that the shades are a bit lighter and less orange than the old Prolong. Two pictures above you can see swatches of the NC20 and NC25 shades while in the one above this text you can see the old Prolong in NC20 compared to the new Prolong in NC20 and NC25. Here you can see the new Prolong roughly blended out. It is apparent that they are high coverage and that they can be sheered out or built up depending on the application technique. You can also distinguish a slight oxidation of the formula in the more sheered out areas as they are already drying and setting. I can say that the oxidation is less agravating than in the old Prolong. In my opinion, the difference between the NC20 and the NC25 once it has been applied and worked into the skin is minimal. To summarize, why do I love this foundation? Because if offers coverage while being modulable, it is longlasting and waterproof, does not disintegrate with oil, has a gorgeous satin finish which renders it more natural than other longlasting formulas and the shades match me better. Plus you only need a small amount and it can double as a concealer, so I am definitely taking a sample container of this one in my next trips! I am getting a full size of this foundation as soon as I finish one of the ones that I am currently using. Can’t wait to run out of the old Prolong! OOO thanks for such a detailed review! This one does sound super promising! I’ve been really lazy tho. Most of the time, I use a base that I can easily work into the skin with my fingers. 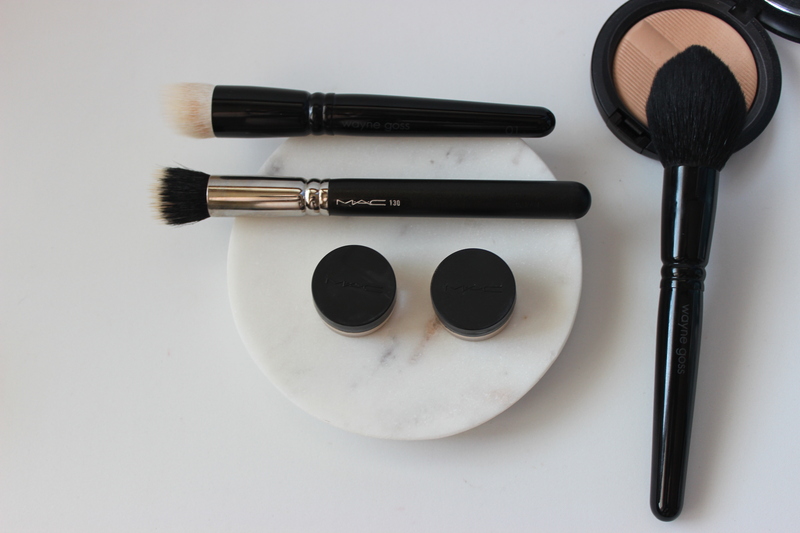 I reserve my foundation brush (and foundations that require one) for special occasion! The longevity sounds like a great trade-off tho! For days when I am in a hurry I have other favourites like tinted moisturizers, but I had yet to find something that could endure my crazy work schedule, so I am very happy to have found such a nice option!